It was the most highly anticipated event in the motorcycle world in years. A couple of hours ago, after 2-1/2 years of design and of intense engineering. 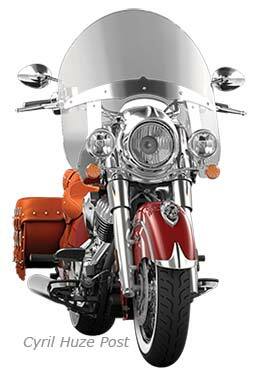 Polaris revealed the fruits of its labor, the all-new 2014 Indian Chief motorcycle. 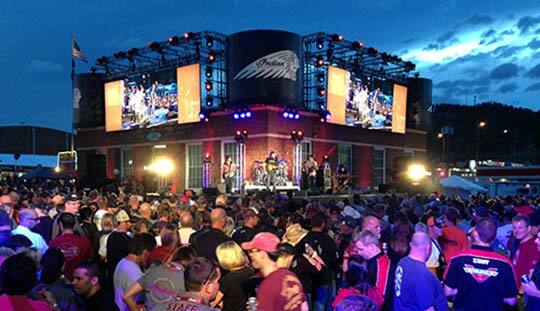 Front of a massive, impatient and very excited crowd of enthusiasts gathered in front of the Sturgis Museum, the Indian launch party started at 8 p.m. with live music, giveaways, a light show, an appearance by History’s Channel “American Picker” and Indian enthusiast Mike Wolfe followed by a video tribute to the 1901 founded America’s original motorcycle company. 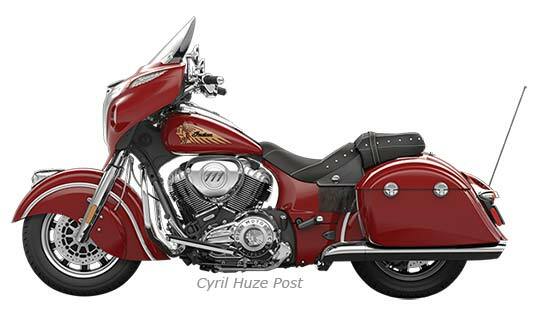 Then, surrounded by all those who contributed to its conception and introduction, Steve Menneto, Vice President of Polaris Motorcycles, unveiled the three 2014 Indian Chief models. 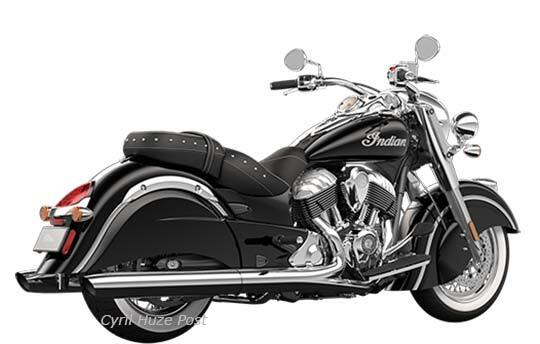 The 2014 Indian Chief Classic comes standard with a host of premium features including endless chrome, keyless ignition, ABS, cruise control, throttle-by-wire, true dual exhaust, high quality chrome laced spoke wheels, brake caliper covers, cast aluminum frame with integrated air intake, and much more. The Indian Chief Classic, like all 2014 Indian Chief models, is powered by the all-new, clean sheet design Thunder Stroke™ 111 engine. Offering 111 cubic inches of pavement pounding power and 119 ft-lbs of torque, this class-leading power plant draws powerful design cues from heritage Indian Motorcycle engines merged with brilliant engineering and advanced technologies. The Thunder Stroke 111 is a 49-degree, air-cooled V-twin with 6-speed overdrive transmission, and features unmatched premium exterior finishes and touches. It offers owners the peace-of-mind that comes from over two million miles of on-road and test-lab verification and Polaris Industries’ 60 years of engineering prowess. 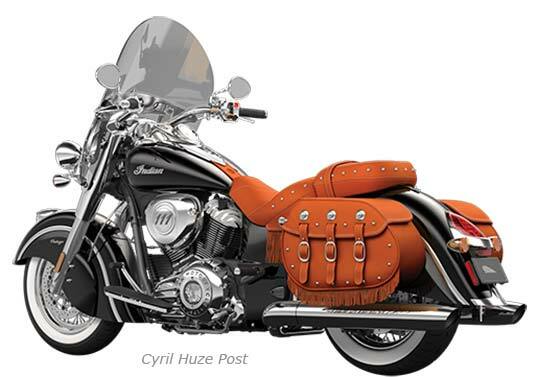 The Indian Chief Vintage offers top-quality quick-release soft-sided leather bags, leather fringe, chrome fender tips, vintage chrome badging on the front fender and a quick-release windshield for easy installation or removal. 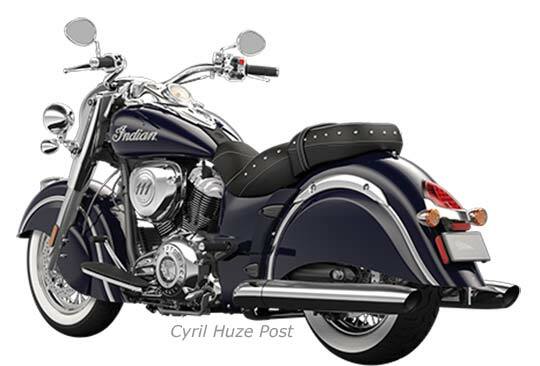 It includes the same premium standard features as the Indian Chief Classic, and sports the same iconic design elements like valanced fenders, laced wheels, whitewall tires, tank-mounted instrument cluster and extensive chrome finishes throughout. 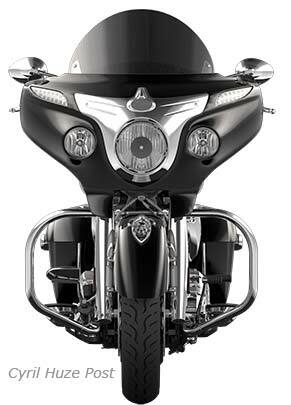 It is also powered by the new Thunder Stroke 111 engine. 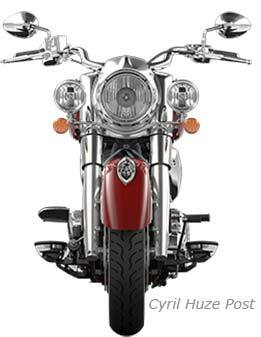 The first Indian Motorcycle of its kind, the 2014 Indian Chieftain maintains the legendary Indian Chief styling, while taking this progressive machine to new heights with advanced features and premium comfort. 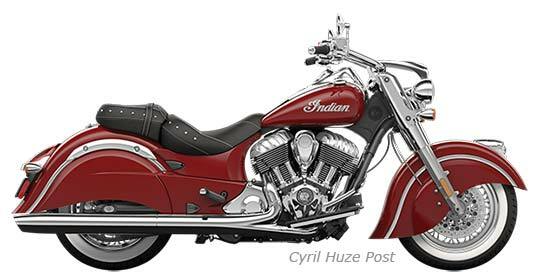 Unlike any Indian Motorcycle ever made, the Chieftain features a fairing with integrated driving lights, and its power windshield is an industry-first for a fork-mounted fairing. 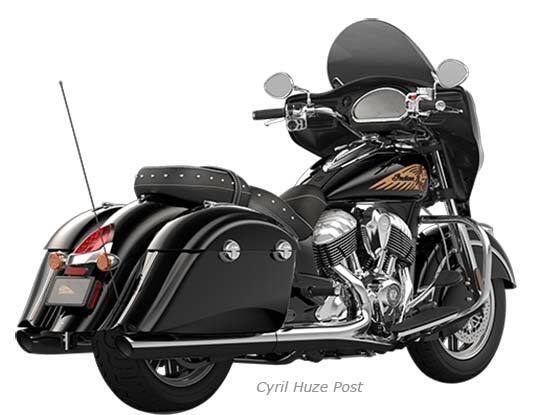 Standard features include hard saddlebags featuring remote locks and quick-release anchors, a high-output audio system featuring integrated Bluetooth® smartphone connectivity, and a tire pressure monitoring system. 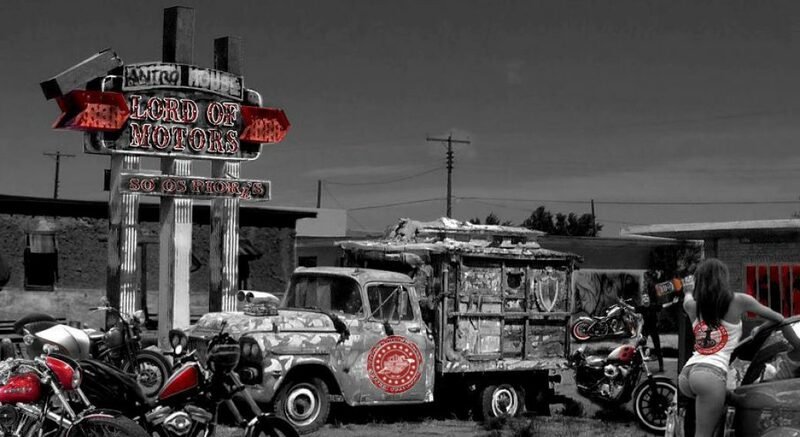 Indian Motorcycle is adding dealerships across the US and globally, and is on plan to have 125-140 North American and 70 international dealers by year end. 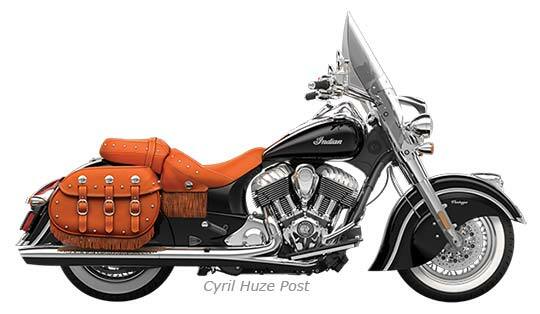 The full line of 2014 Indian Chief models are available for order now and will arrive in dealerships in September, along with an extensive array of apparel, parts and accessories. 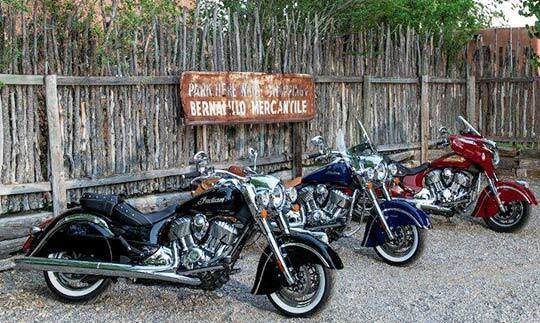 Indian Motorcycle demo rides will be available at dealer events across the country starting in the next 2 weeks.